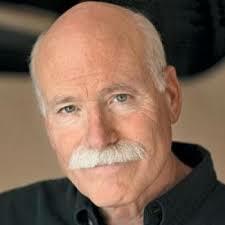 Tobias Wolff is a short story writer, memoirist, and novelist. He is known for his memoirs, particularly “This Boy’s Life” (1989), and “In Pharaoh’s Army” (1994). He has written two short story collections, including “The Barracks Thief “(1984), which won the PEN/Faulkner Award for Fiction. Wolff received a National Medal of Arts from President Barack Obama in September 2015. He has also been the editor of Best American Short Stories, The Vintage Book of Contemporary American Short Stories, and A Doctor’s Visit: The Short Stories of Anton Chekhov. His work appears regularly in The New Yorker, The Atlantic, Harper’s, and other magazines and literary journals. Wolff’s work has found a wider audience through its adaptation to film. “This Boy’s Life” became a feature film directed by Michael Caton-Jones which starred Leonardo DiCaprio, Robert De Niro, and Ellen Barkin. In 2001, Wolff’s acclaimed short story “Bullet in the Brain” was adapted into a short film by David Von Ancken and C.J. Follini starring Tom Noonan and Dean Winters. Wolff is the Ward W. and Priscilla B. Woods Professor in the School of Humanities and Sciences at Stanford, where he has taught classes in English and creative writing since 1997. He also served as the director of the Creative Writing Program at Stanford from 2000 to 2002. Prior to his current appointment at Stanford, Wolff taught at Syracuse University from 1980 to 1997. While at Syracuse he served on the faculty with Raymond Carver and was an instructor in the graduate writing program. Authors who worked with Wolff while they were students at Syracuse include Jay McInerney, Tom Perrotta, George Saunders, Alice Sebold, William Tester, Paul Griner, Ken Garcia, Dana C. Kabel, Jan–Marie Spanard, and Paul Watkins. For availability and speaker fees, please contact Tobias Wolff’s speaking agent at Chartwell here, or call +1 972 385 1021 for U.S. inquiries or +44 207 293 0864 for international inquiries.